Half a billion bets on our Dice game! In few days we'll reach half a billion dice rolls made by players at Crypto-Games.net! 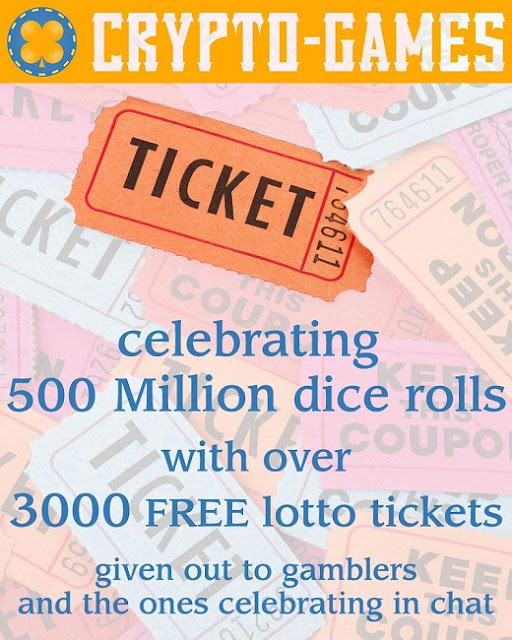 Overall, more than 3,000 lottery tickets (worth 0.1 BTC, 250,000 DOGE & 5 ETH) will be given away for free during the celebration. Another 450 tickets will be dealt in chat, so be active!